Transit oriented developments are high density mixed use developments located within short and easily walkable distance of a major transit centre. These developments are often hypothesised as a means of enticing a mode shift from the private car to sustainable transport modes such as, walking, cycling and public transport. However, it is important to gather evidence to test this hypothesis by determining the travel characteristics of transit oriented developments users. For this purpose, travel surveys were conducted for an urban transit oriented development currently under development. This chapter presents the findings from the preliminary data analysis of the travel surveys. Kelvin Grove Urban Village, a mixed use development located in Brisbane, Australia, has been selected as the case for the transit oriented developments study. Travel data for all groups of transit oriented development users ranging from students to shoppers, and residents to employees were collected. Different survey instruments were used for different transit oriented development users to optimise their response rates, and the performance of these survey instruments are stated herein. 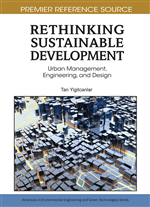 The travel characteristics of transit oriented development users are reported in this chapter by explaining mode share, trip length distribution, and time of day of trip. The results of the travel survey reveal that Kelvin Grove Urban Village users use more sustainable modes of transport as compared to other Brisbane residents. The data from the 1985 American Housing Survey was used to study the commuting choices of residents for retail activities. It was found that the presence of nearby commercial land uses is associated with short commuting distances for the residents of a mixed-use neighbourhood (Cervero, 1996). Using the results of a home interview survey, Tong and Wong (1997) describe the land use and transport characteristics of a high density, mixed land-use, linear urban development located along the northern shore of Hong Kong Island. Major comparisons were done for car ownership and mode choice, trip rate, trip time, and self-containment. The development was shown to have four advantages: economy in land utilization, less road space, commercially viable public transport and high accessibility for residents, in spite of a low private car ownership rate. A study of parking requirements for six traditional shopping districts in the Oakland-Berkeley subarea shows that the reduction in parking and transportation fees is misguided for TODs because of higher attraction rates of shopping trips from adjacent suburbs as these shoppers drove to shopping centre and because of the demand for shopping centres specifically for Saturday peak loads (Steiner, 1998).